One loaf of Rhodes frozen french bread is cut into two baguettes and stuffed with gooey cheese and garlic butter. A delicious side for pizza and pasta night! Thaw a loaf of Rhodes white bread and cut into two halves lengthwise. Roll out till each half is a 10-12 inch baguette. Place the two baguettes on a greased cookie sheet and cover in a grease piece of wax paper. Let them rise till double in size. Then bake for 10 minutes. 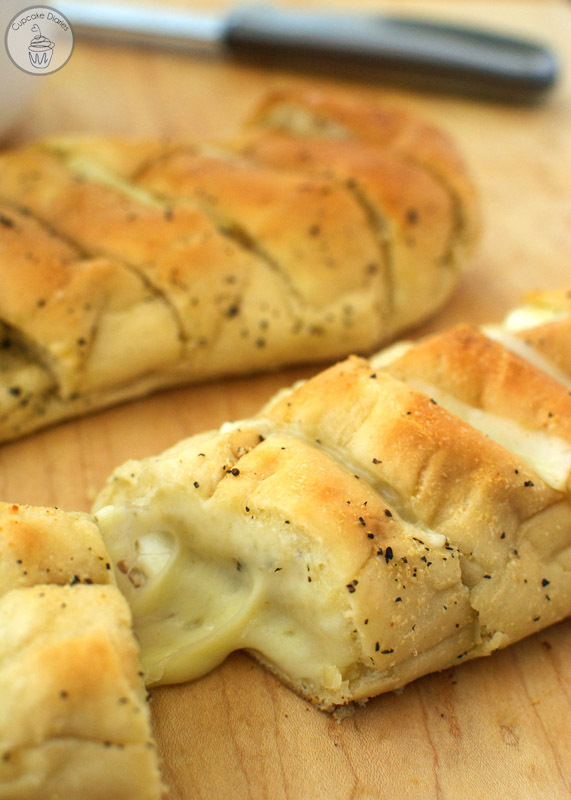 Visit Cheesy Garlic Baguettes @ cupcakediariesblog.com for full instructions.